We have all heard the saying, “you are what you eat,” and it is often met with frustration and gall. We all want to pasta, bread, and dessert… however; it’s our bodies that pay for those decisions. We know if we eat unhealthy foods, it can lead to unhealthy consequences. This is not only true when it comes to our BMI, it also includes our vein health. If we were gamblers, we would bet you hadn’t ever thought about eating for your veins. Now, you may be thinking, what foods would I even start with? Fiber. It is long understood that fiber has a history of doing the body good. It also applies to your vein health. Fiber is essential in helping keep varicose veins at bay. By ensuring the digestive system is function properly, you will help toxins in the blood from building up, which allows for a regular blood flow, keeping veins from straining under pressure. Beans, carrots, and spinach. 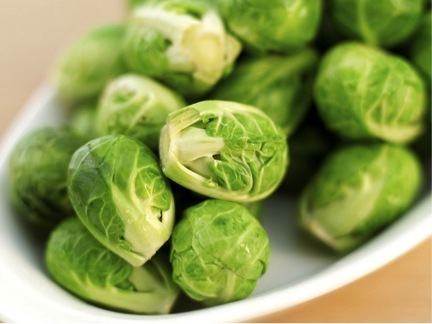 These are not only good for you to eat daily, but they are also very high in Vitamin C and flavonoids. Blueberries, cherries, and grapes. These are all high in antioxidants as well as Vitamin C. This helps strengthen your vein walls, keeping them from deteriorating and producing varicose veins. Eat raw veggies and fruits. Eating raw is the best way to get all the vitamins, minerals, and antioxidants food can provide. When most foods are heated, they loose a bit of the strength of their vitamins, minerals, and antioxidants. Another way to help prevent/decrease varicose veins is by losing weight. Being overweight is one of the leading causes of varicose veins. The extra weight you are carrying puts extra pressure on your lower extremities, causing the vein walls to deteriorate faster than normal. Drinking a lot of water is also important. Water keeps your body flushed and clean of impurities. Drinking a lot of water will also help with constipation. Constipation can come from not drinking enough water, and the pressure from it can cause varicose veins to develop. So, eat a diet high in vitamins, especially C and flavonoids, rich in fiber, get yourself at a healthy weight, and drink lots of water. The combination of this will help decrease your chances of developing varicose veins!